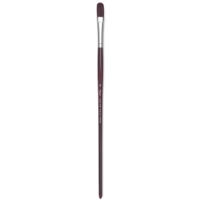 Utrecht Tuscan Synthetic brushes are made by skilled craftsmen who carefully blend a variety of silky filaments, then hand set, interlock, tie, glue, and trim them to ensure lasting performance. 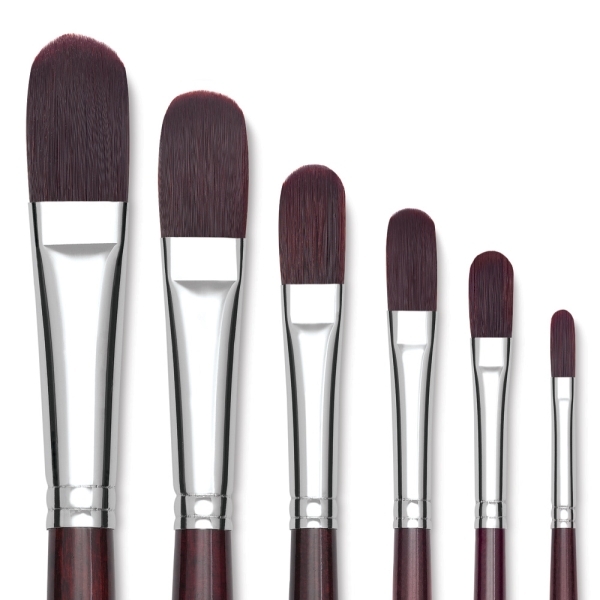 Utrecht Tuscan Series 206 brushes feature superior shape retention, a springy rebound, and good color-holding capacity, Every kiln-dried beechwood handle is stained a deep red color that echoes the color of the rustic synthetic brush hair. These semi-firm brushes can be used with both oil and acrylic paints, and are ideal for creating smooth strokes, soft blending, transitions, and details. They can also be used for glazing and varnishing. They are also a great choice for fluid or medium-body mediums.